People are often surprised to learn that birth defects are common, found in 1 in 33 newborns. Most of the time, doctors and scientists do not know what causes them. In fact, the causes of about 70% of all birth defects remain unknown. The National Birth Defects Prevention Study is the largest study in the U.S. looking at the causes of birth defects. 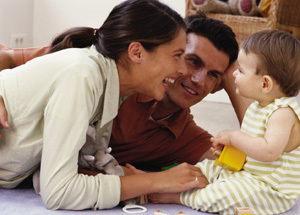 Finding possible causes will benefit many families and babies in the future. The study will not directly benefit the families that participate. However, many women feel good about helping to find causes of birth defects. The study also benefits other researchers. It is important for researchers to see their results repeated. If we see a finding in several studies, we feel more confident about it. The study benefits pregnant women and their health care providers. Any extra information about risk factors for birth defects can be used to inform their decisions.